Bottom of the table just a few months ago, Borussia Mönchengladbach are back to their best and ready to cause problems when they take on FC Bayern München this Saturday. Ahead of the top-of-the-table clash, bundesliga.com spoke to Gladbach's sporting director Max Eberl about Gladbach's astonishing turnaround, new arrivals and how to beat Bayern. Question: Max Eberl, Gladbach sit fourth in the table, just three places behind Saturday's opponents Bayern. Would that have seemed impossible ten weeks ago? Max Eberl: I didn't think it was possible for us to lose all of our opening five games. I didn't think it was possible that Lucien Favre would so suddenly hand in his resignation. And no, I didn't think it was possible that, just ten weeks later, we would be playing Bayern as rivals at the top of the table. But in football, everything is possible. That's what we're seeing at the moment. Question: Was there any point where you feared that everything you had built up over the last few years would fall apart? 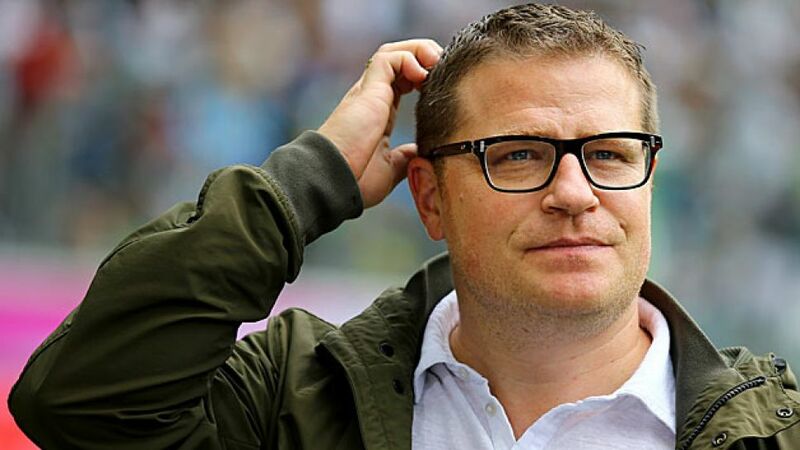 Eberl: Fall apart? No! But I was worried that we had a very complicated season ahead of us. We wanted to enjoy our first year in the Champions League, and I was worried that was being overshadowed by the bad results. But I knew everything we had built over the years wouldn't just implode. The victory over VfL Wolfsburg was the final proof that the team have rediscovered their quality. From that moment on, we have felt able to enjoy the Champions League again. Question: Are you proud of the work you did in the summer to deepen the squad with new arrivals? Eberl: We are very happy that the new players are playing their part in our current success. Martin Stranzl and Alvaro Dominguez have been injured since the summer. Patrick Hermann, Andre Hahn and Nico Schulz are now all ruled out for a long time. These are injuries that hit us hard. That makes me even more thankful that the newcomers are playing well. The likes of Andreas Christensen and Lars Stindl have done us a world of good.